Walt Disney World Resort opened in 1971 in Central Florida with just one theme park, Magic Kingdom. As well as three resorts – Contemporary, Fort Wilderness, and the Polynesian Resort. Today it is a 31,000-acre resort with four major theme parks, two water parks, four champion golf courses, an entertainment district, a sports complex and 25 resorts to choose from. Trying to figure out the best things to do at Disney World can seem impossible but there are things at Disney World that are a must do. For every Disney fan, the dream is to do every single thing at Disney but even I, with more than 24 trips, have not done everything. Let’s begin with an overview of the Walt Disney World Resort. Beginning with the first and most popular Disney theme park, Magic Kingdom. The flagship park for the resort created in Florida. Everyone recognizes Cinderella’s Castle. In fact, a lot of people think Disney World = Magic Kingdom. But it is so much more than that. Magic Kingdom is divided into 7 different lands; Adventureland, Frontierland, Fantasyland, Tomorrowland, Liberty Square, and Mickey’s Toontown Fair. Each with its theme and associated rides and restaurants. 107 acres big, with the most to do out of all the parks. Please dedicate at least two full days to this park. Let’s talk about the BIGGEST Disney theme park in the world, Animal Kingdom. And with the opening of Pandora – World of Avatar, this park is not to be missed. The icon for the park is the Tree of Life. The details on the Tree of Life are mind-blowing. I would dedicate one full day to Animal Kingdom or you can do two and take it slow. This theme park is bigger than Magic Kingdom and famous for people trying to “drink around the world,” Epcot. Recently one of the top rides at Epcot, Soarin’, received a makeover. It was great before but now it’s fantastic. 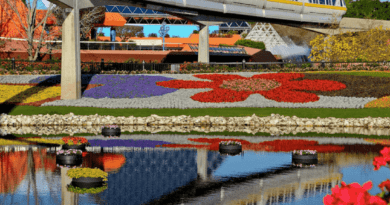 The 11 countries at Epcot are not to be missed, check out the dining options, walk into the stores and see the different ways things like KitKats and Coca Cola design changes. 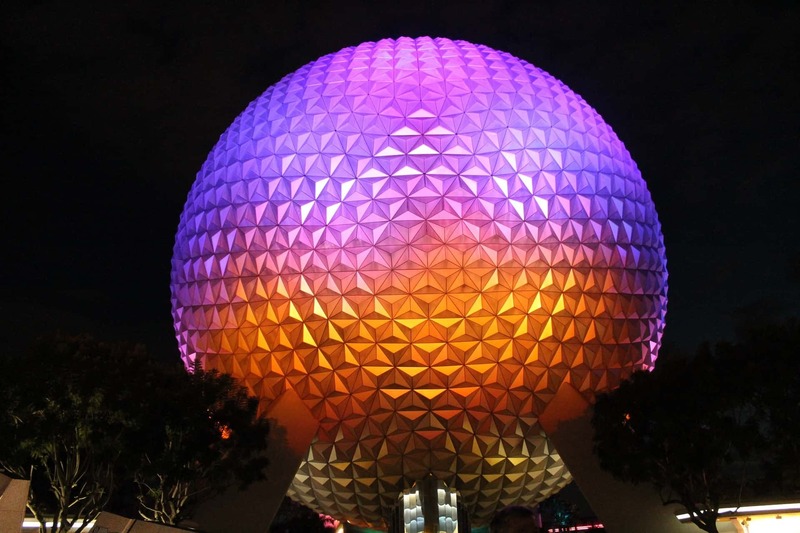 Epcot can easily take a full day from your vacation. With Toy Story Land opening June of 2018, Disney’s Hollywood Studios is going to see a huge spike in attendance. In the words of Disney “Take Center Stage in the Worlds of Movies, Television, Music & Theater. The Walt Disney World Resort is also home to two water parks Blizzard Beach and Typhoon Lagoon, Disney Springs which is an entertainment district with restaurants, shopping, bars, and entertainment all day long. A Walt Disney World trip is essentially a trip to the greatest, most magical theme park on earth. One of your priorities on this trip has to be to ride the top attractions at the theme park(s) you plan on visiting. They aren’t the top attractions because I said so, they are the top attractions because everyone says so. They really are not to be missed. Beyond the rides mentioned above, make sure to do some research on the other rides at the park. 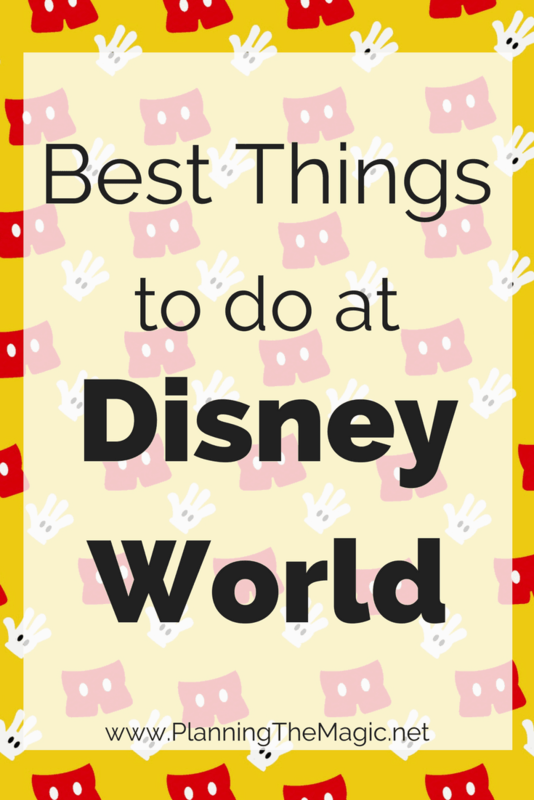 You can do it with the Unofficial Guide to Disney World or with the My Disney Experience app. Disney is well known for some of their extraordinary restaurants and I make dining a part of my vacation planning every time I go. Years later, Be Our Guest Restaurant is one of the most sought after reservations for dinner at Disney. The food is high quality and the ambiance is perfect, you really are taking a step into Belle’s Castle. Sanaa at Disney’s Animal Kingdom Lodge has a remarkable menu and setting. Watch Zebras, Giraffes, and more while you dine onwell-cookedd meals. This authentic Irish pub will not let you down. Raglan Road is known to be one of the few places with true authentic Irish food. 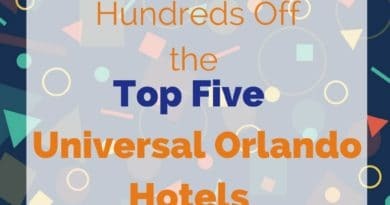 While offsite lodging options are overall cheaper, especially when you employee techniques like renting a house with another family, staying on Disney property gives you the full Disney experience and a lot of really cool benefits. 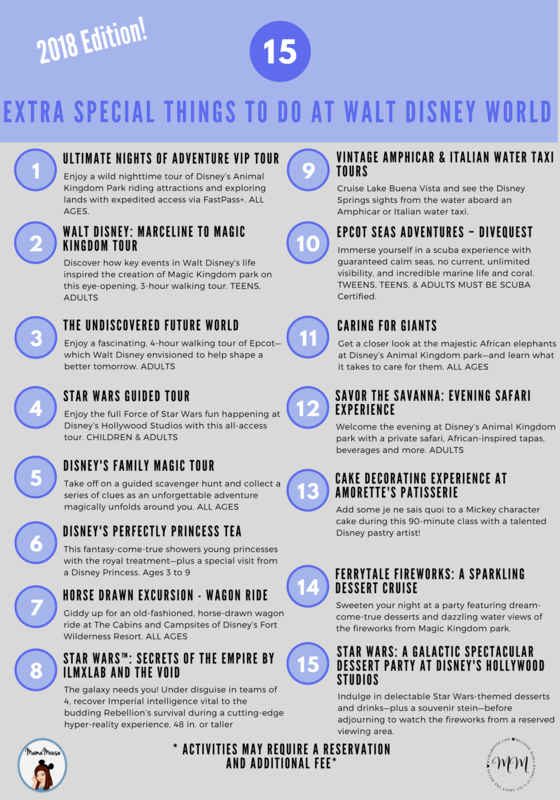 Find more information on how to do Disney on a budget with my 2018 guide. Meeting characters are some of my fondest memories when I think back to going to Disney World as a kid. Characters can be found throughout all of the Disney World parks and there are so many to choose them. I suggest seeing as many as possible with character dining but if a character you want to see is not there, I suggest doing research ahead of time on where you can see them and what the best time to see them is. You don’t want to find yourself waiting 200 minutes to see Anna and Elsa. Character Dining is the perfect way to avoid spending a day, that should be for rides, waiting in line to see characters. But there are so many options on where to eat and differences in who is going to be there, you have to make sure you are choosing the right one. Do you want to see princesses or Mickey and friends? Seeing both would mean two different character meals, which can work too. 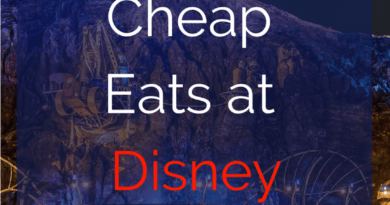 Check out my guide on Disney Character Dining. The grandest of finales to your day at Magic Kingdom with this showcase that will definitely make history. Witness humanity, togetherness, and the story of Earth with an addition of stunning fireworks. A battle between good and evil featuring Mickey in this phenomenal nighttime show. Light show with special effects, music, and animal folklore. In a galaxy far, far away, memorable moments were created. Now you can witness them with special effects and fireworks. Pin trading at Disney World is a fun way to collect and trade affordable souvenirs ($5.99+ each one). It’s also an experience because you are meeting and chatting with Walt Disney World cast members and other guests as you trade. There is a pin trading etiquette you should familiarize yourself with. For example, only approved pins can be traded. Learn more here. Disney resorts vary in size and theme. As do offsite hotels. Pick a place to stay based off what they have to keep you entertained, the theme, and crowd levels. All of the top attractions above are the good rides. When you are just two adults, you will find yourself with more time and the ability to avoid rides with long waits like Dumbo. This means you can ride the good rides multiple times. Ride Big Thunder Mountain during the day and at night. I don’t have kids of my own but every other Disney trip I have kids with me, especially since my sister is so much younger. When it’s just an adult trip I find myself more relaxed with a lot more time. I can wake up, get some coffee and just sit on the patio. I also have gone for a run in the morning and visited the pool and hot tub after hours. My girlfriend and I will often buy a pack of beers or wine and find an outdoor table to play cards. Pick an evening and have a nice dinner. Paradise 37 has good music and outdoor seating while Narcoossee is highly rated and a great Disney experience. Make your way around the World Showcase at Epcot while stopping for drinks and snacks at each country. That’s right, 11 drinks. Good luck! Is it a car? A boat? It’s both! It can drive on land and floats in water, and you can take a ride on it. You will feel extra special coasting the waters of Disney Springs. Galactic desserts, specialty drinks, a Star Wars stein to take home and reserved seating to view Star Wars: A Galactic Spectacular. Take a nighttime tour of Disney’s Animal Kingdom park for 4 hours with the opportunity to ride the top rides without waiting in line and have a once in a lifetime experience. Have you ever wanted to dive? Experience it at the Caribbean Coral Reef, the 5.7-million-gallon saltwater aquarium at Epcot with over 6,000 sea creatures. This is a great resource. I love that you covered so many options across the entire park. It’s really helpful. I absolutely love Disney! I will definitely be using this list so I can make sure we see all the important attractions. We loooove Disney! Such a great place with fun for all! The Magic Kingdom is my favorite park by far. We stay in the time share and eat there as well, it’s too expensive to eat in the parks. Nice! Do you stay on the Disney World property? We live on the West Coast and I’ve been to Disneyland more times than I can count. But I’ve never been to Disney World and would love to see all the amazing sights there in Florida! You have to come give the east coast a chance! This is a great guide! I will definitely save this next time we visit Disney World! I totally agree with you on the Magic Kingdom rides! We seem to always go through It’s A Small World several times. it’s great too cooling off on those hot summer days. We haven’t to the other parks in quite awhile. We need to get back there! I knew there was lots to do at Disney World but I didn’t know it was this much. Wow! Hopefully I make it there some day. I’m still trying to get Avatar fast passes… and I’m a pass holder. One day!